I was very pleased with this product. I needed it in a hurry so paid a little bit more for express delivery and they did not let me down. Purchased this frame because I wanted a large (30 x 36) frame that would not overshadow my painting. This frame works beautifully. Photo does not do justice to depict lushness of the gold which has a greenish antique sheen. This frame enhances the painting. Photo is not the best but you should get the idea. Painting is not actually framed in this picture but you should be able to see the compliment. What a wonderful frame! 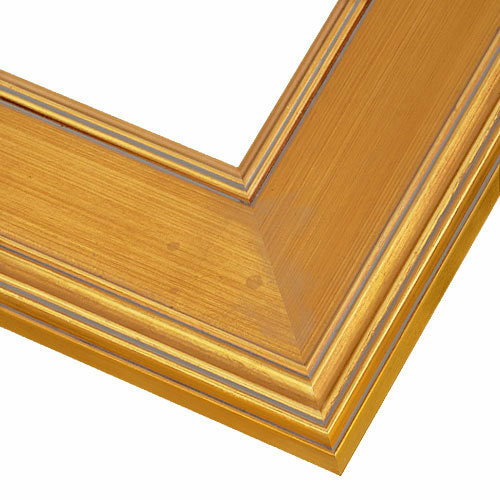 This is the best quality we have ever seen in a purchased frame. We used it to frame a painting of mine and it looks just right. Thank you!! I found it impossible to secure the painting to the frame with the hardware provided. Hi Ann. Thank you for your feedback. We apologize that the hardware provided was a troubling issue for you. Our customer care team is always happy to walk you through step-by-step so that you can frame your artwork with ease. They are available Monday-Friday 8am-7pm eastern time and can be reached at 1-800-332-8884. We appreciate your business and hope to serve you again in the future! 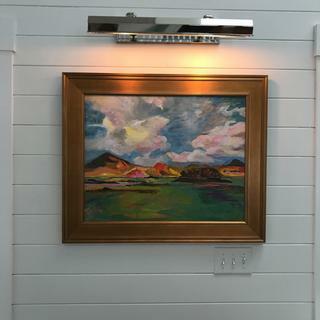 I have used this frame molding before and really like it. I chose this frame as I have used it before, and it is a lovely frame. Classic good look at a good price. As a gallery director, I often noticed that purchasers preferred simple lines without ornate decorations. It's easier for them to picture it in their homes. i needed a wide gold plein air frame in a custom size. this was my only option. 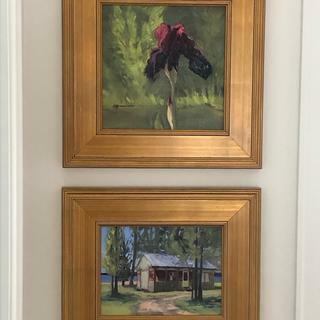 I would have preferred one of the ones with more design, you have a few plein air frames on sale with a little more details and I much prefer those, but the size was not custom. Most of the time it sells the best in the gallery I'm in. I loved the color. If you want a warm gold with underlying touches of bronze/copper undertones...this is it! 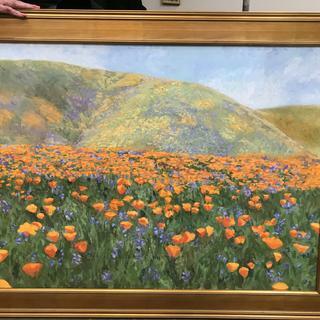 I have used this frame many times for my California landscape and cattle paintings in oil. Very happy with the quality and price.